It's so nice when a historic building gets refurbished for a new use. Such is the case in Pittsburgh. 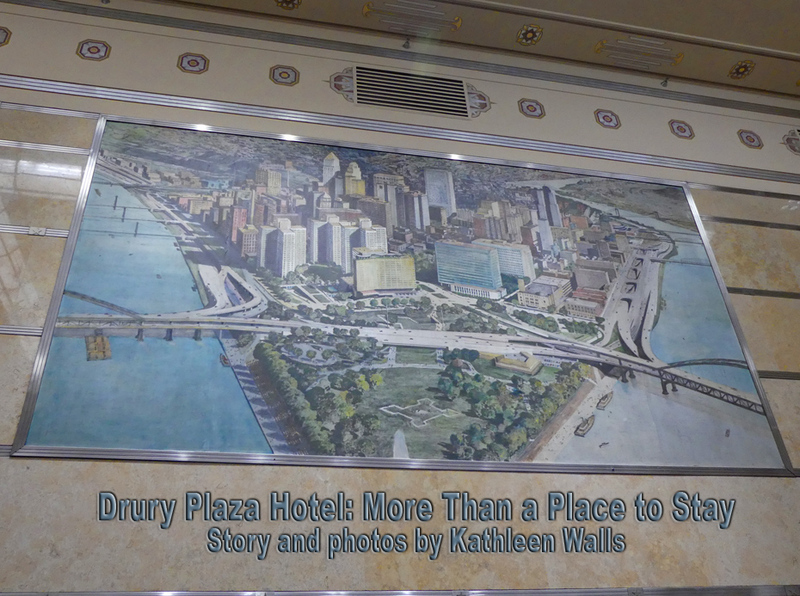 The Drury Plaza Hotel was once the Federal Reserve Bank of Pittsburgh. The Georgia marble faced Art Deco building began life in 1931 and was bought by the hotel in 2013 and began renovations in 2014. 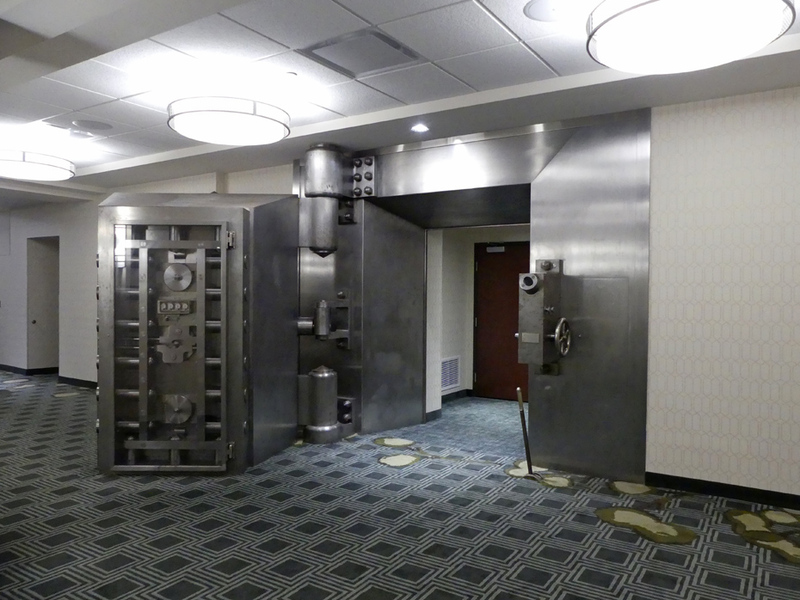 The Drury has kept many of the historic features such as the steel security grates over the windows and the public lobby space was once the main banking area often referred to as the “bond trading room.” It still retains its marble wall cladding and stainless steel trim and castings. 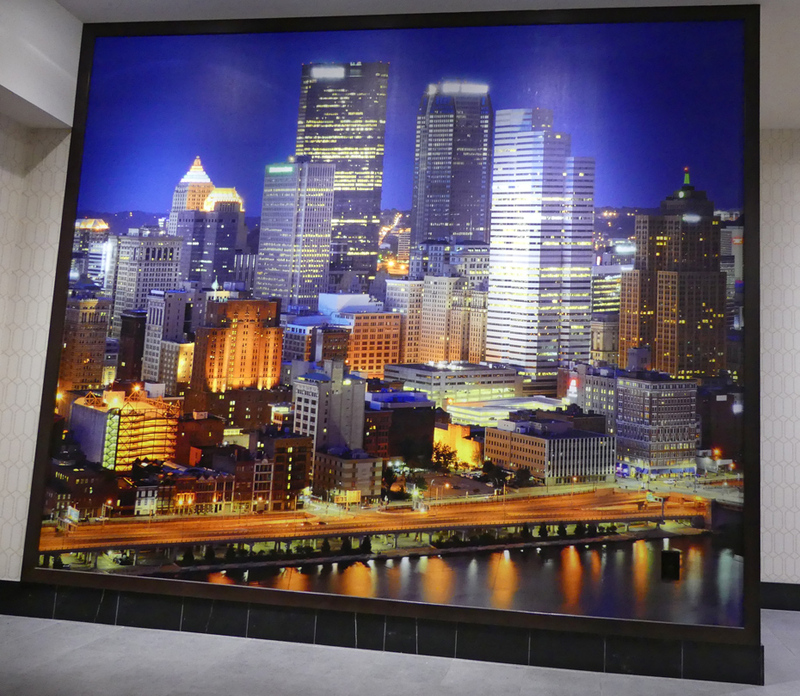 A 1960s era painted mural of downtown Pittsburgh hangs in the dining area. The eighth floor of the building was a practice firing range for bank security teams in the banking era. 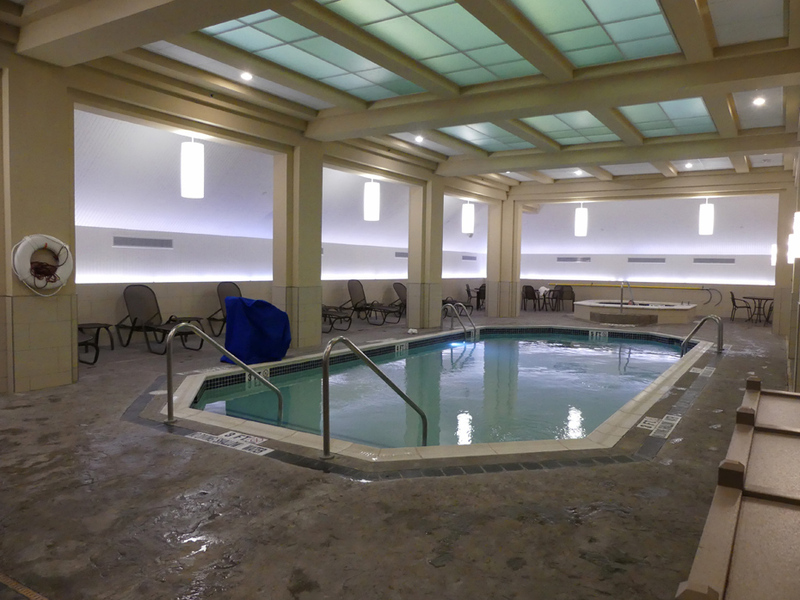 Today it's where you find an indoor swimming pool, fitness center and rooftop deck for observation of Pittsburgh's skyline. Kristen Oakes, the hotel sales manager, told us, "At the Grant Street entrance from the valet parking lot now uses the former guard station as the valet station. There are still bullet proof glass and gun turrets there. This was where the armored trucks brought in money." She took us down to the basement, where the vaults are restored and used for meeting rooms. The vault walls are three feet thick making for a very quiet space. 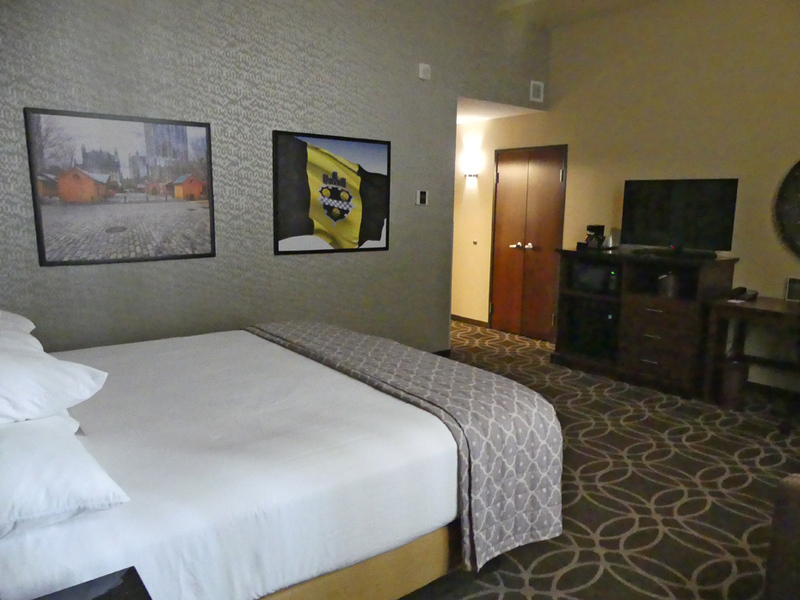 Of course comfort and convenience are important in choosing a hotel. Drury Plaza is beyond competitive in that. Every spacious room includes free Wi-Fi, a TV, microwave, refrigerator, iron and ironing board, hairdryer and coffee maker. The art is vintage Pittsburgh scenes. The dining room is perhaps my favorite room. 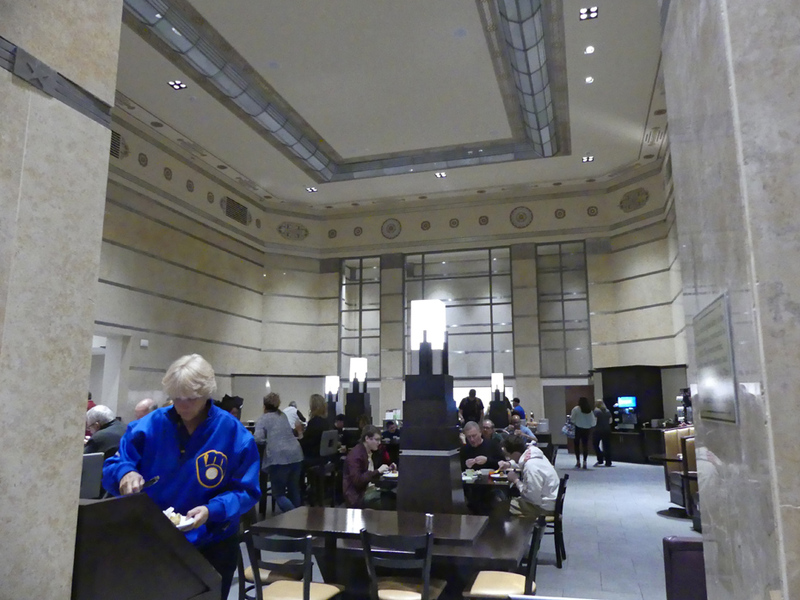 It's right off the lobby and has the feel of a classic bank lobby. The ceiling is waaay up there. The walls—marble I think—are topped by a several foot wide border engraved with geometric designs all around. But the best thing about it is the food. There's a complete breakfast. It's not just rolls and bagels folks. There are real eggs, sausage, potatoes, fresh fruit and more. You can still make your own waffles or have some rolls or bagels if you want. But wait, there's more! Daily at 5:30 you can enjoy Kickback. Kickback is really a light dinner. 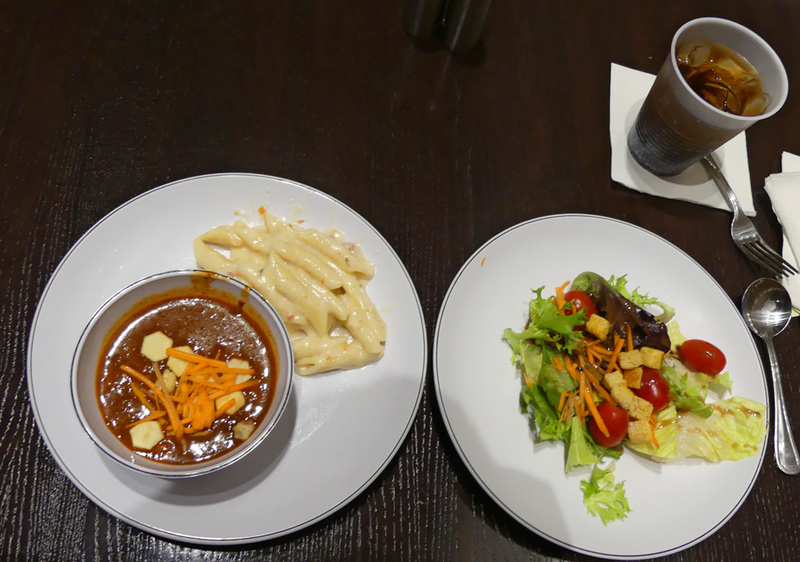 The night I was there I enjoyed, chili, mac and cheese and a make it yourself salad with lots of choices. There were also hot dogs and several other choices. Plus you get one free bar drink and the option to get two more for 75 cents. The money you safe on not having to go out and buy dinner can be used on some of Pittsburgh's great attractions many of which are walking distance from the Drury Plaza like the Senator John Heinz History Center or the Andy Warhol Museum. If you need a snack between meals, there is always free popcorn and soda in the lobby. If you really want to dinner after that, there is a great restaurant on site, The Fourth District. 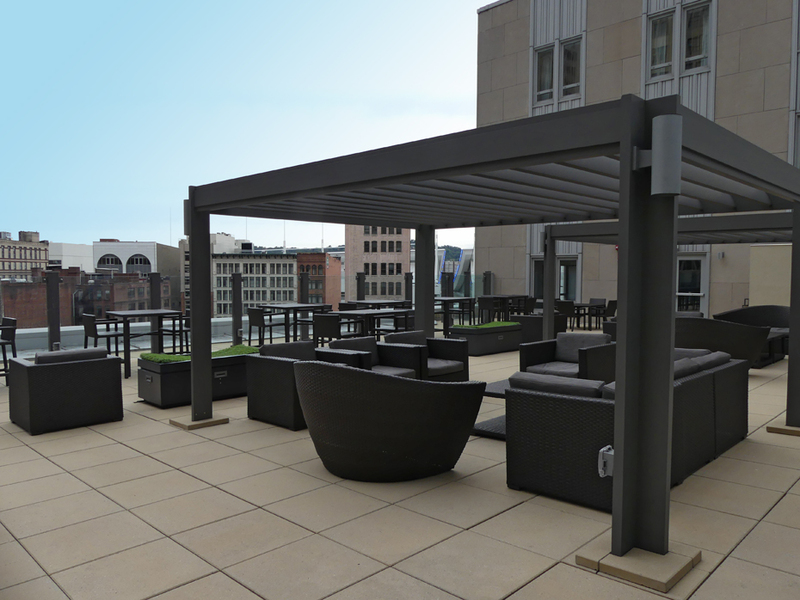 It's named for the hotel's location in Pittsburgh's historic Fourth District which was once the financial hub of the city. This hotel has it all. The only downside is if you chose to park in the valet parking, there is a charge.